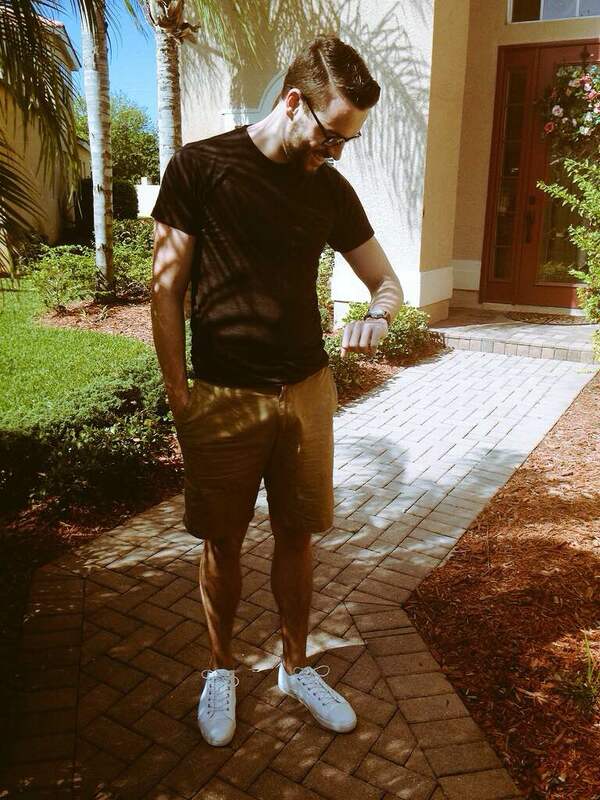 March 18, 2015 April 10, 2015 by Beau H.
In-person with some clean kicks from a “great” brand. T-shirt by American Apparel. Shorts by Banana Republic. Watch by Timex Ameritus and patterned watch strap by The Knottery. Finding a great pair of sneakers for the spring is a move that can make it a lot easier to shop around for the rest of your gear. An awesome pair of well-made sneakers have tons of styling potential — jeans, chinos and shorts can all be worn with ease with some simple shoes. GREATS, out of Brooklyn, N.Y., is a brand that’s been featured a few times in recent weeks on this site (and elsewhere lately) for delivering innovative, modern sneakers at outstanding prices. They seem to be launching new models every couple of weeks, and they’ve also partnered with menswear luminaries like Nick Wooster on various designs. But it was the brand’s simple Wilson silhouette that first caught my eye. This pair of sneakers made my spring style wish list a few weeks ago, and I was lucky enough to pick up a pair before jetting off to Florida recently for a weekend vacation (a few more photos of that trip can be seen on my Twitter and Instagram feeds). The Wilson is available in quite a few colorways — and in both canvas and suede options — but the all-white pair was my first pick, namely for versatility and crisp style potential. A look at the Wilson sneakers in all-white, fresh from the box. The sneakers arrived in what you might call the brand’s signature blue-and-white packaging. Notably, they didn’t have any scuffs or marks on first inspection — sometimes tricky to do with all-white items. Out of the box, they came with thinner ripcord laces, in addition to a handy backup pair of thicker white cotton laces — although I found the hint of stretch in the ripcord laces to be a nice bonus. Hardly any logos on these sneakers other than the blue-and-white “G” on the heel here. Pull tab is a handy addition for slipping them on. The Wilson features metal shoelace eyelets, a canvas upper, pull-tab heel and captoe construction, which adds a nice bit of durability in a mold similar to the Converse Jack Purcell — no need to worry about the toe giving out on these bad boys. The branding on these is thankfully minimal, with only a blue-and-white Greats “G” logo placed on the back heel and the middle sole. Plenty of styling potential with these sneakers. Buttondown shirt by Saturdays Surf NYC. Lightwash jeans by J. Crew. Glasses by Warby Parker. These sneakers feature sturdier construction and a thicker heel than other models of white sneakers I’ve had, which is a definite plus (no knock on those Tretorns, though). They felt comfortable with a pair of no-show socks when walking for several hours, and they broke in right away — no crazy stiffness or toughness to the canvas upper or heel. And as far as styling potential goes, these sneakers have definitely got it. 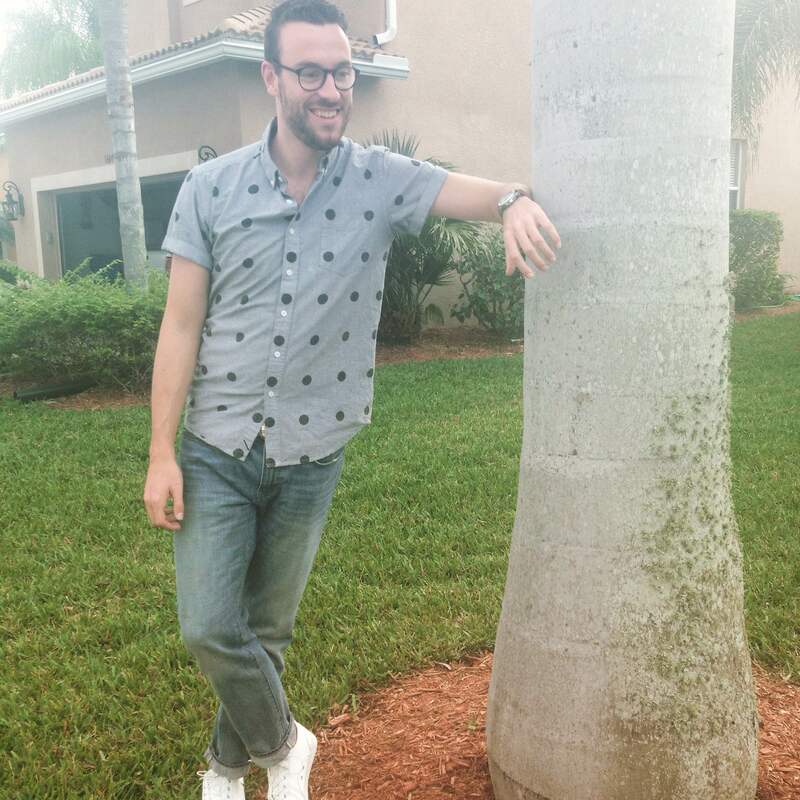 On my Florida trip, I threw them on with both a charcoal pocket tee, khaki shorts and a white watch/patterned watch strap, as well as a patterned short-sleeve buttondown and lightwash jeans (as seen above). The clean white color would also work with dark denim or olive chinos, and I plan to try them out with a casual blazer & light grey chinos in the coming weeks, too. Standard khaki chinos would also work well. Relatively minimal shape and a durable-looking captoe complete these kicks. Ripcord laces add some nice stretch, too. As always, price was a big factor in my decision to pick these up; other minimal sneaker models are out there (and in more luxe materials like leather), but these are far and away the best bang for your buck at $49. 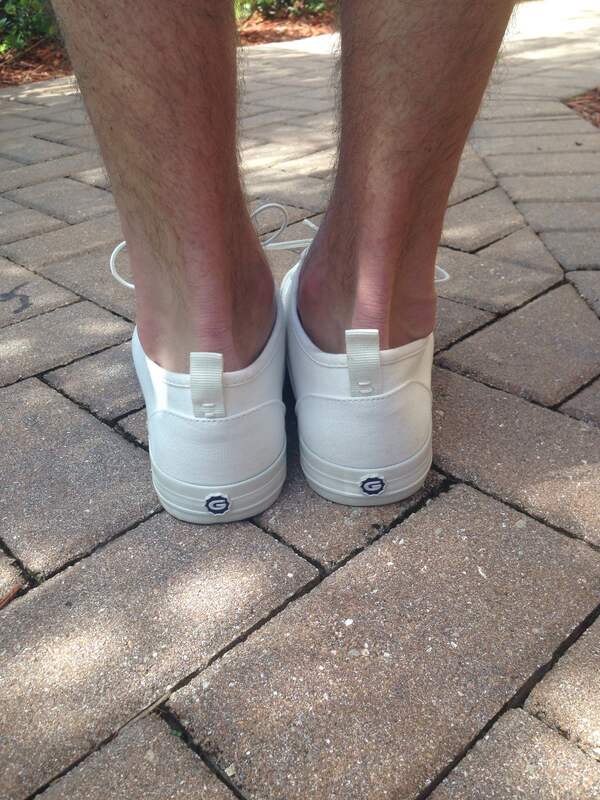 For spring and summer style versatility, these are great to have on-hand — if you catch my drift. 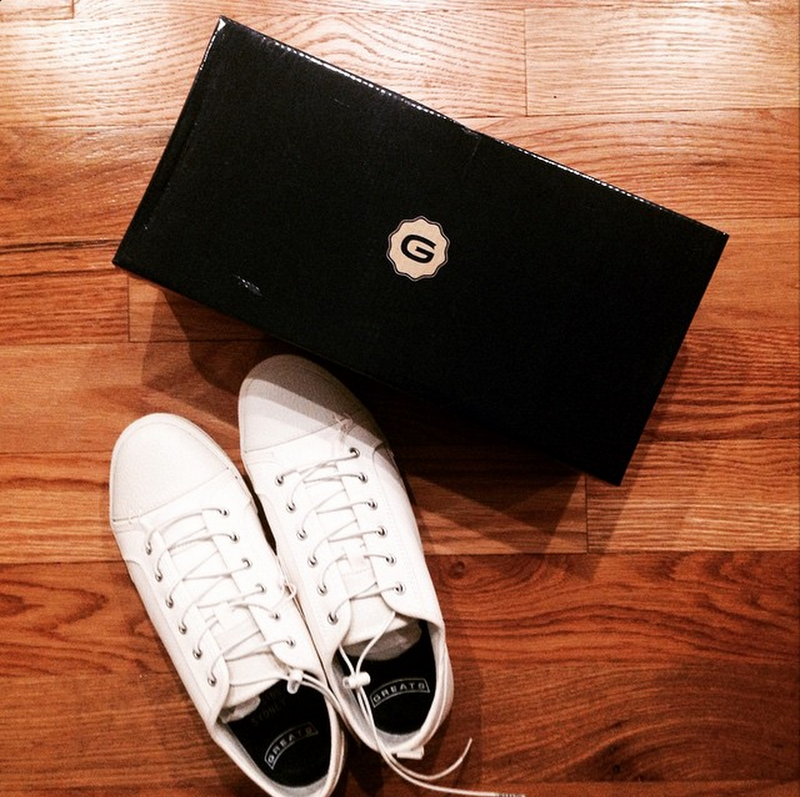 Editor’s note: Get $10 off a pair of GREATS sneakers using the code ROOKIEX. Do you have any experience with GREATS sneakers? What do you think? And how would you style them a pair like this?